Matthew relives some of his youthful hacking by dabbling in a little “pirate radio” broadcasting. 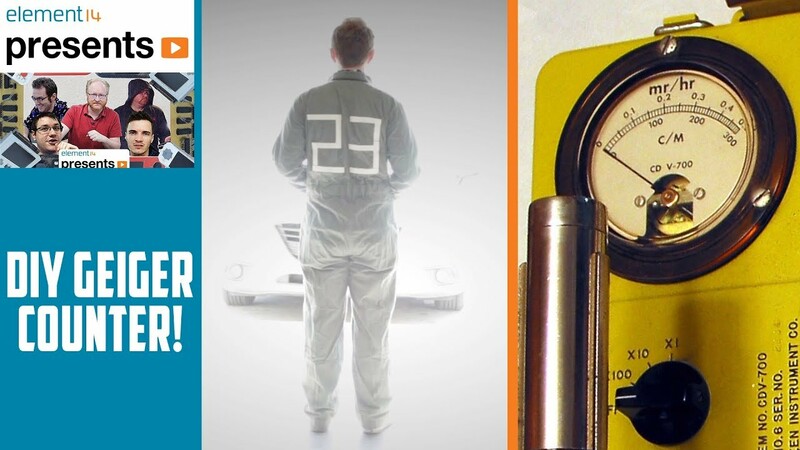 In this video, he builds a handheld FM transmitter from some salvaged parts and a Raspberry Pi. The Pi uses a piece of software to convert wav files to frequency-modulated signals emitted from GPIO pin 7. To improve transmission quality and prevent undesired signals, Matthew also designs and builds a band pass filter and seals everything in a shielded case. Get a link to download the full pirate broadcast by entering your email below! 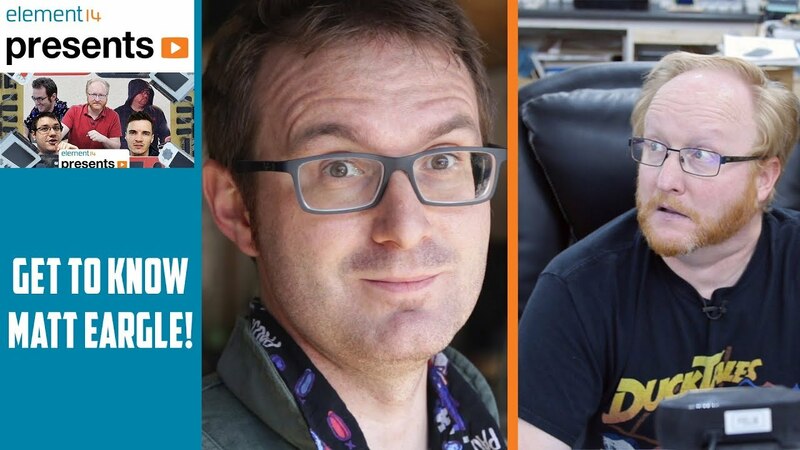 As part of his exeunt from The Ben Heck Show and the transition to element14 Presents, Ben did a series of interviews with each of the new hosts. 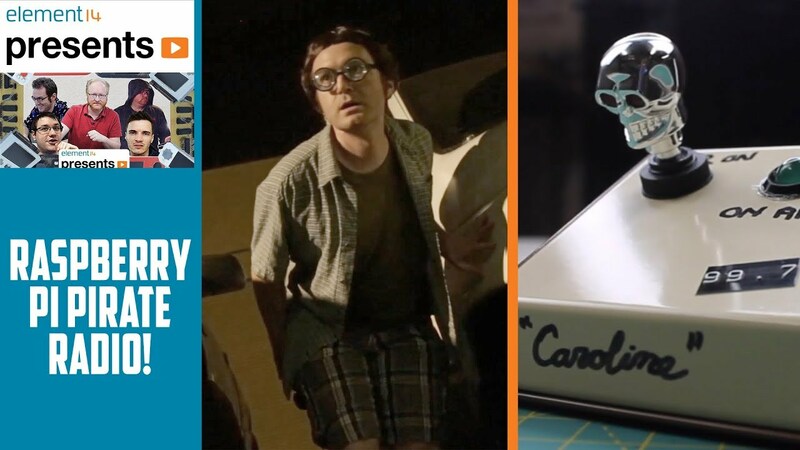 In this quick chat, we talk about retro tech, circuit bending, and why Dr. Strangelove is the best film ever made. 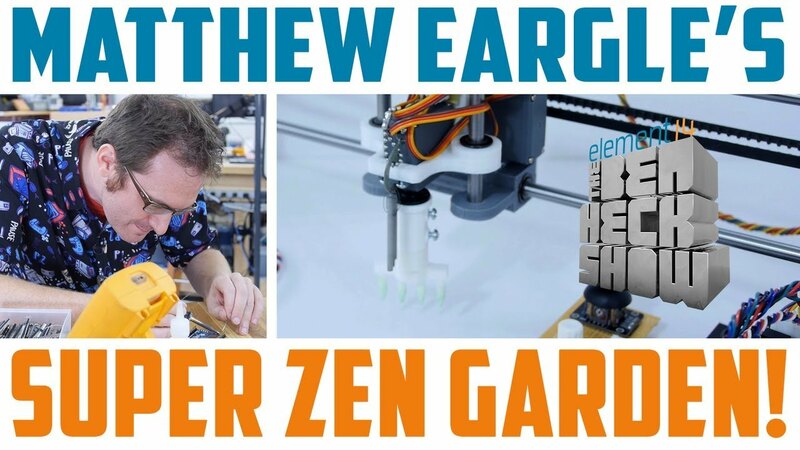 The Ben Heck Show: Matthew Eargle’s Super Zen Garden! Matthew Eargle pays a visit to Ben in Madison so that they can work together on a Zen robot garden using CNC parts. The build will use a handheld controller, a stepper motor, and a 3D printed Zen garden rake that will draw designs. element14 Presents The Ben Heck Show. . . and beyond! I’ve been invited to create content for element14, the community marketing arm of electronics distributor Newark as their long-time “face”, Mr. Benjamin Heckendorn is retiring from his eponymous electronics hacking show. I, along with several other very talented creators, will be producing content under the element14 Presents banner on occasion starting next month! The best comment on the video, by far. In addition to my contributions to the new show, I will be producing some behind-the-scenes and other derivative content in addition to my regular production content here and on YouTube, so expect to see more things posted more regularly on all my outlets!